Another cricket-based film is coming to entertain viewers. Barun Sobti's '22 Yards' trailer has recently been released. In this film, Barun is playing a sports agent. There have been many films on cricket till now in Bollywood. There have been many films in the last few years. Now another movie based on cricket is coming. Recently, the new trailer of this new movie has been released, and this film is going to get entry on the big screen of an actor from the TV. 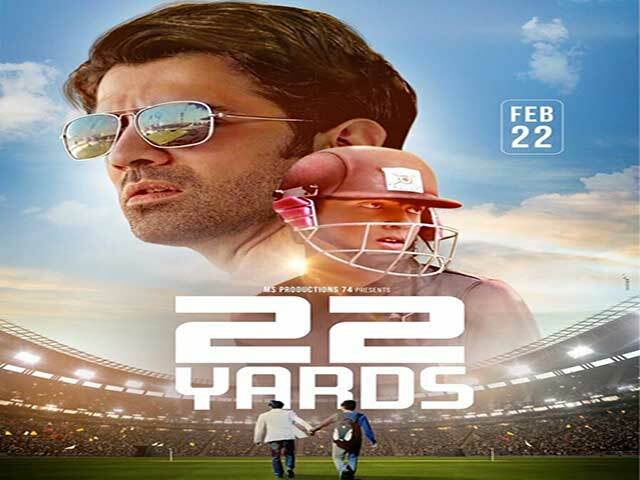 Now the '22 yards' film is based on cricket. In which indian TV actor Barun Sobti will be seen. Barun has been debuting in Bollywood with the film 'Main Aur Mr. Riight' in 2014 and now his 22 yard is coming. The film's trailer has just been released recently. After watching the trailer, it is known that Barun is playing the role of a sports agent who fails after his successful career. The film also shows how the Sports Manager helps a young and poor cricketer move forward. Also Read : Director Of 'Uri' Said That It Was Risky To Take Vicky Kaushal In Lead Role. In this film, Indian TV famous actress Prachi Bora is also seen in film. Apart from these five actors, Amartya Ray, Rajit Kapoor, Chaiti Ghoshal, Rajesh Sharma and Geetika Tyagi will also be seen in important roles in the film. The film is being released in cinemas on February 22.